I'm coming back to the Bay Area Maker Faire on May 17, and 18. Hope to see you there! 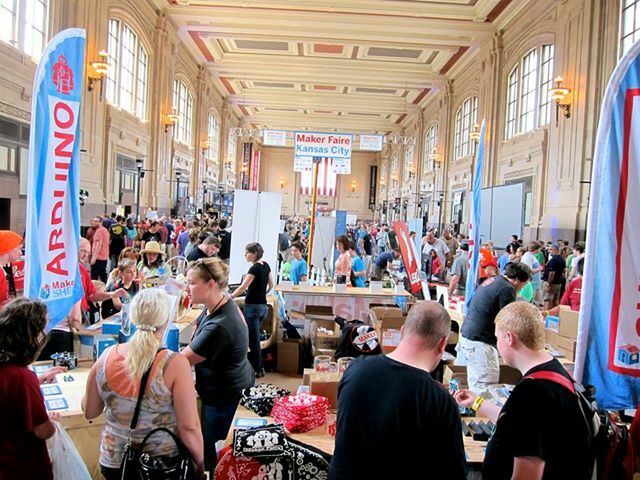 The Kansas City Maker Faire Was A Big Success! My friend Bob from Bandit Guns was back again this year. 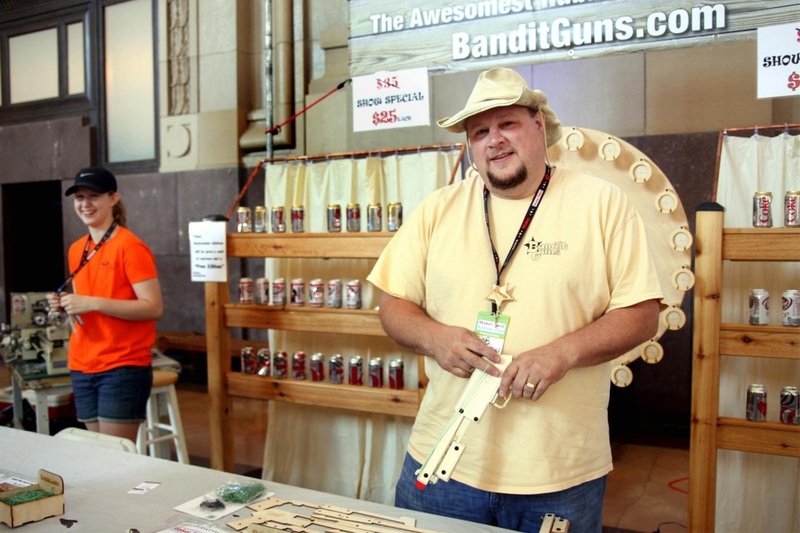 I was interviewed by Kansas City Public Television at the Kansas City Maker Faire. Click on the image to watch the interview. 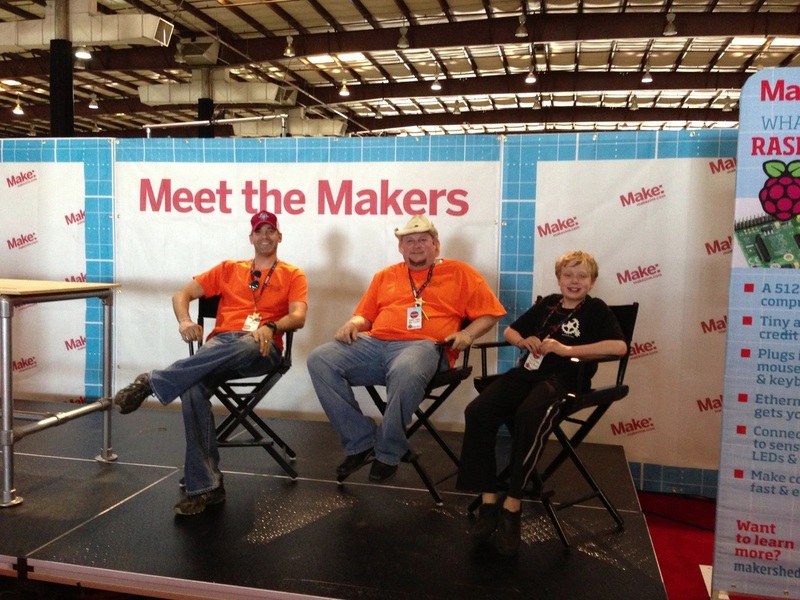 It looks like it is going to be a great Maker Faire! 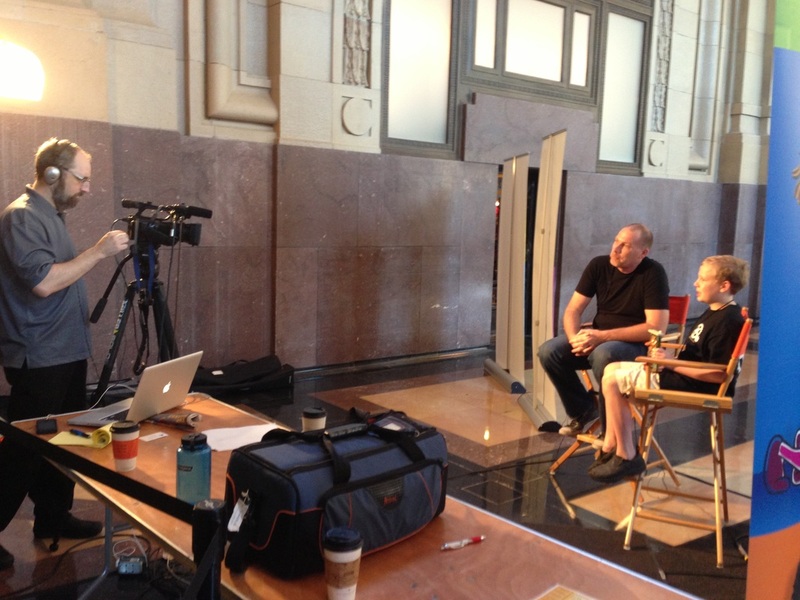 Come to Union Station this weekend and check it out! I just received notice that I have been accepted to the Kansas City Maker Faire! I hope everyone who is in the area is able to check out this awesome Maker Faire! And when you do stop by my booth to say hi. We'll I'm back from the Bay Area Maker Faire and I miss the excitement already! TedClocks will be at the 2013 Bay Area Maker Faire. Be sure to stop by and say hi! I will be adding photos and video from the Maker Faire all weekend, so check back often. 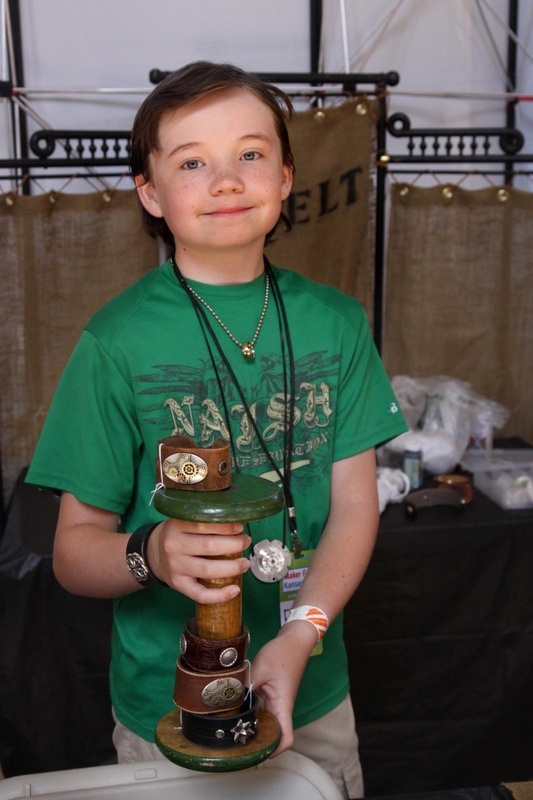 Ted Brull is 11 years old and is an avid inventor and maker. He began his building career with Legos before he could walk. His love for Legos continues and he is a member of an award winning FLL (First Lego League) robotics team called Tesla's Knights. The team is named for his favorite inventor Nikola Tesla. His gift for his fourth birthday was a handmade workbench, built by his father. Many hours have been spent on this bench, designing projects and tearing down electronics for parts. Two years ago a clock his grandfather had made caught his eye. It was built from a computer floppy drive. He announced that he thought he could build a business from making clocks and various things out of re-purposed computer parts. With a single minded determination he dedicated every free minute to accumulating and tearing down old computers. He solicited businesses for their old equipment, that would otherwise be headed for the trash. That was the birth of "Ted Clocks". 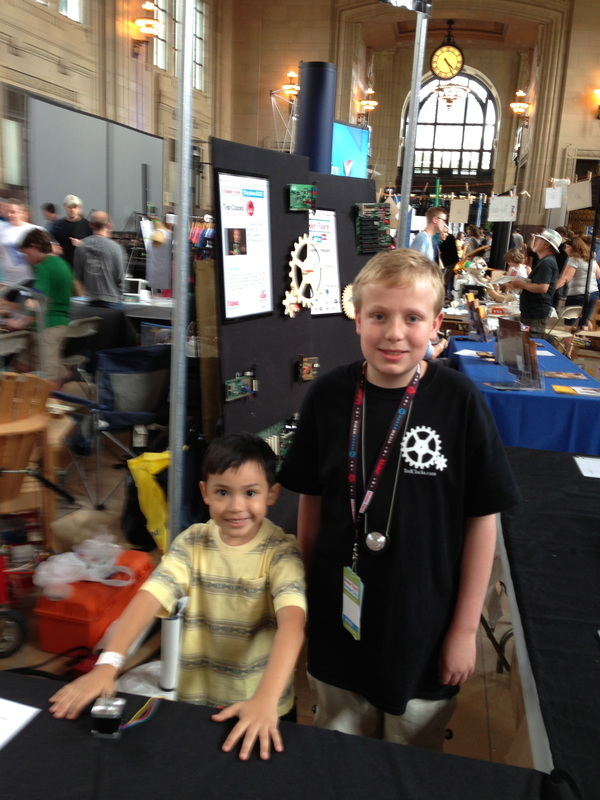 He participated in his first Maker Faier in Kansas City in June of 2012. He sold over 200 clocks and was featured in an article on geek.com. Later that summer he participated in a second Maker Faire where he did well and was discovered by a lead engineer from Hallmark who later visited his workshop and purchased clocks for all her engineers. He is very excited to be traveling to the San Mateo to participate in the 2013 Maker Faire. He has a passion for seeing the world and has set his more distant sights on participating in the fair in Rome. Ted is constantly working on updating his collection with new and unique designs. He and his father have a deep love for robotics and he aspires to attend college, and study robotics, at MIT. He will be on his way to this goal when he attends his first computer programming class there this summer.